London has been named the 'identity fraud capital' of the UK. 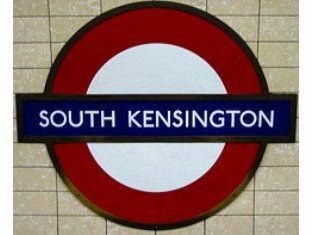 And within London, people living in Kensington are most likely to be targets for fraudsters. The findings are part of research into cases of identity fraud, carried out by information services firm Experian . The study revealed that 54 UK areas are classified as being at 'very high risk', and of those, 34 are within the M25 area, and 20 in London itself. Residents in Kensington are most at risk, the survey shows. They are almost five times more likely to be stung by ID fraud compared to the national average. More than half of victims are between 30 and 50 years old, with women and men representing roughly equal measures. The most likely groups to be hit are high-flying graduates in privately rented accommodation, couples with children and high outgoings, young singles in shared accommodation earning reasonable wages, and high-income earners living in premium-price city locations. In 82 per cent of ID fraud cases recorded by Experian, the crime was not reported to the police. Of those that were, only 7 per cent led to a prosecution. On the positive side for victims, they tended not to suffer a direct financial loss as a result of being targeted by fraudsters, with the companies involved having to pay up. Jill Stevens, director of consumer affairs at Experian, said the report painted a "startling" picture of identity fraud. "It takes an average of 450 days to discover you have been the target of identity fraud and you can then face up to 300 hours putting the record straight, so it makes sense to take every precaution," she said.